According to Blogger my last post was in 2015. It's been awhile. I moved a couple of times since then but now I live in North Carolina. What have I been up to? I still crochet, though way less than I use to. Here is a bunny toy I made for my friend's baby. 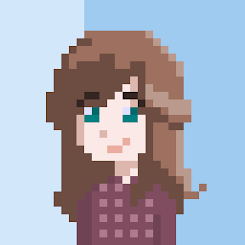 I really like how it turned out. I may post the pattern eventually. 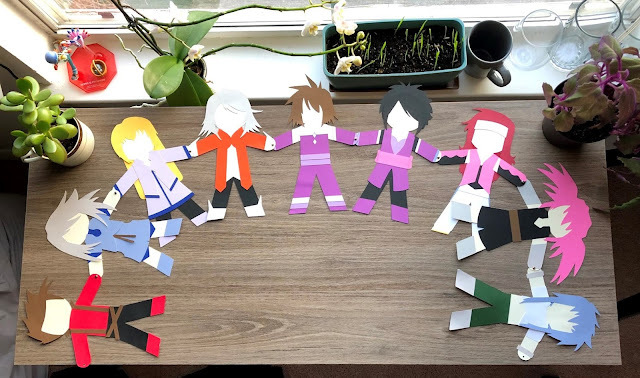 Way back in 2013 my #1 favorite game of all time (Tales of Symphonia) was rereleased and my best friend and I had a small party in celebration. 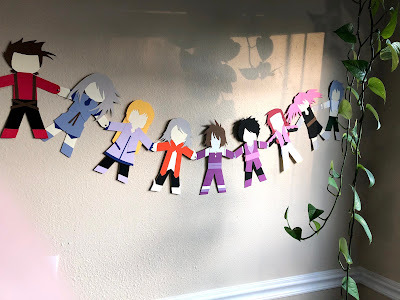 I handmade a paper chain of the characters as decoration. I bought a paper cutting machine (cricut) this year and decided to make it again. Super pleased with how it came out and thanks to the cutting machine my hand isn't aching for a week from the scissors. I've had a few requests come through since I posted the original to buy one, I went ahead and put it up in my etsy shop for anyone that loves that game as much as I do. On Netflix there is a show called Miraculous Ladybug. I put it on to watch with my kindergartener and accidentally got completely hooked. I am not the target demographic but the main characters are so precious. I've become incredibly emotionally invested. I made another paper chain with the main Ladybug characters. I especially like Rena Rouge, the fox one. That one is up on my etsy as well. I have a ton of fun making these chains and I will probably be making more. I'm hoping to put up a video soon of the process. I went back to school for my Computer Science degree. I'm about a year in and I love it. I also work at a programming school for children. I still do a lot of crafts and I'm going to resurrect my blog and include stuff I made with my cutting machine cause goodness, it can do a lot. I've changed the blog name to Forgotten Fox so you'll see a new banner roll out soon. I might even post some of my illustrations. Thanks for sticking with me. I'm making an Instagram soon and I'll post it when it's ready so we can all follow each other.